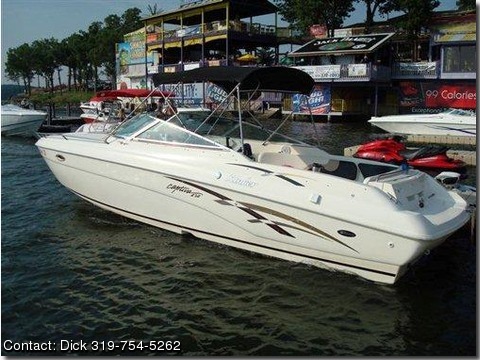 2000 Rinker 272 Captiva Cuddy Millenium Edition. This boat is Smooth in the water and rides like a dream, has very good take off with the step hull design. Matching Trailer, Here is an opportunity to save big!! A 454, 435 hp V-8 with, low hours, Bravo 3 out-drive with dual prop, furnishes the power for all day cruising or water sports. The motor was replaced in 2002, the engine has about 500 hrs.